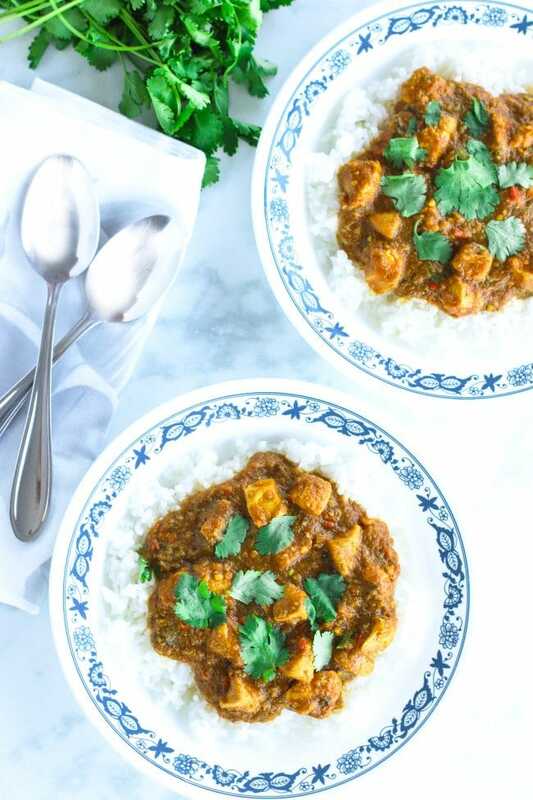 This Indian Onion Chicken Curry is super easy to make, full of amazing flavors, and always a crowd pleaser! 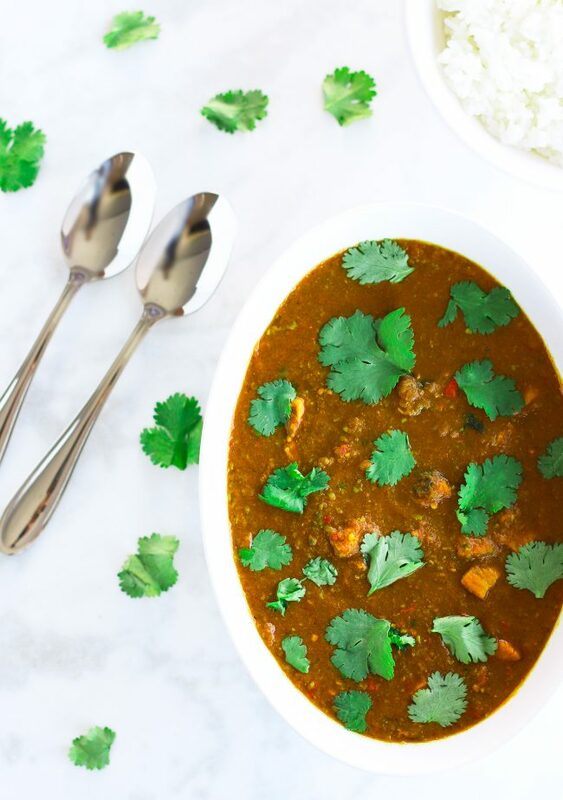 It’s made with simple ingredients like tomatoes, onion, garlic, ginger, chilies, and fresh coriander, and taken to a whole another level of deliciousness with S&B’s Golden Curry roux! Stovetop Pressure Cooker, Stovetop (wok/stockpot), and Instant Pot (Electric Pressure Cooker) instructions included. 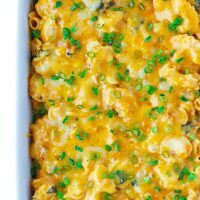 Can be made vegetarian/vegan. Wheee! 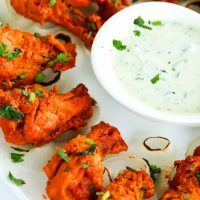 Ok, if that introduction hasn’t convinced you yet that you need this in your life too, let me tell you about it and prove that this truly is one of the BEST Indian chicken curries out there. This Indian Onion Chicken Curry is an invention by my mom and let me tell you that she was famous for it back when we lived in Taipei! 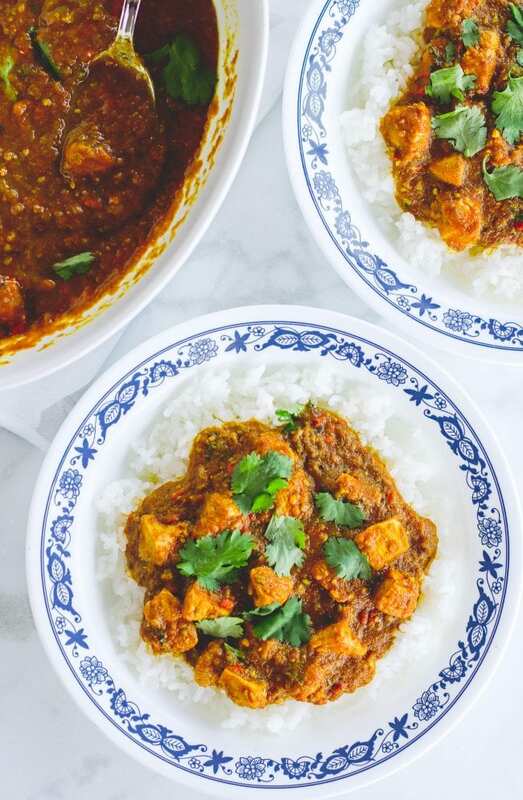 If there was a potluck, cards night, or any sort of big gathering of family friends, she was contracted to make this curry and by god, there were a lot of oomphs and ahhs every time she served this up, LOTS of smiling faces, and completely satisfied bellies! The story of her discovery goes something like this. Many years ago in Taipei, my mom was in a supermarket and found herself in the Japanese food aisle. A box of curry roux caught her eye. So she picked it up along with some chicken and headed home. That evening, she got out her pressure cooker and started making a typical Indian curry with onions, ginger, garlic, chilies, and tomatoes. 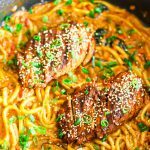 Then she combined everything with a typical mixture of spices for an Indian curry – salt, garam masala, turmeric powder, coriander powder, and red chili powder. Next, she tossed in the Japanese curry roux cube, stirred in water, and added the diced chicken. 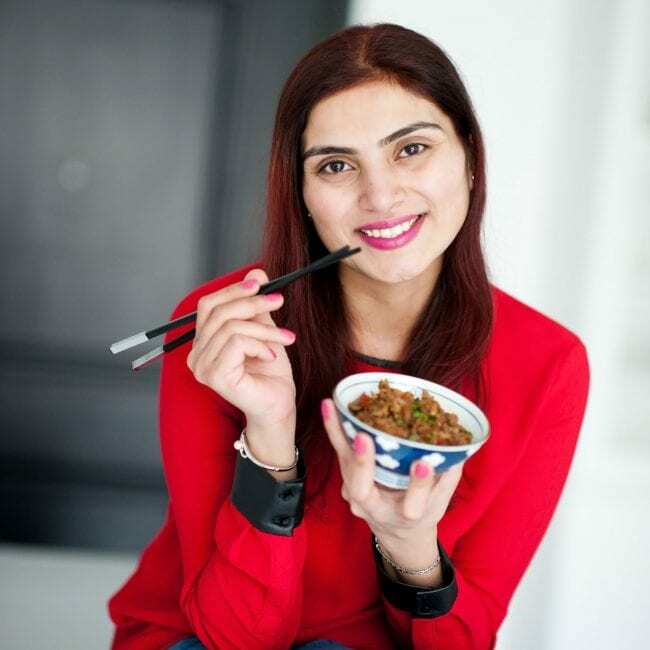 She let it all cook in the pressure cooker for a few minutes, and then stirred in some freshly chopped coriander as a final touch. Now and several years later, we no longer live in Taipei and the brand that manufactured the particular curry roux cube my mom used to use no longer exists. But no need to panic, because I found a substitute that is widely available and makes this curry taste just as amazing if not more! 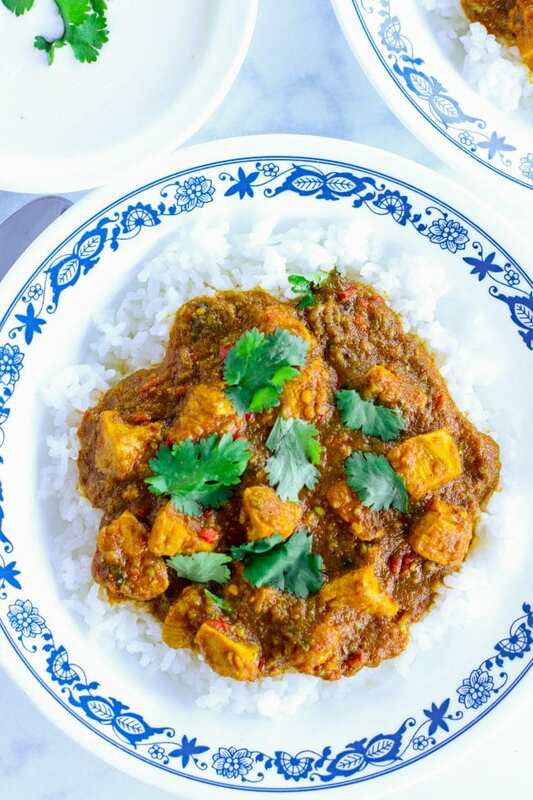 😎 And to date, Indian Onion Chicken Curry still makes regular appearances at our dinner table and at friends and family gatherings and is loved just as much by everyone today! One thing to take note of is that although it’s a very simple curry to make, it does require some time for the prep work. I usually prefer the gravy to be on the smooth side, so I roughly chop the garlic, ginger, fresh chilies, onion, and tomatoes and then blend them in a food processor before cooking. If you prefer a little bit of a texture in your curry, just finely chop all the ingredients and it’ll still taste great! Or if you have some extra time and don’t mind pausing a bit during the cooking process, you can also blend the curry with an immersion hand blender or conventional blender. I find that this route takes a bit longer and prefer to have everything blended and ready from the get go. 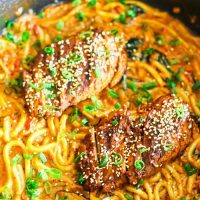 This curry can be made in a traditional pressure cooker, a wok or stockpot on the stove, or in an Instant Pot (electric pressure cooker). I have included instructions for all methods so take your pick! 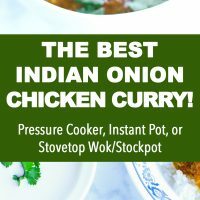 Just a heads up – the traditional pressure cooker and the Instant Pot method take almost the same time to cook, and the wok/stockpot method takes slightly longer. I personally prefer the stovetop pressure cooker method because, well, I’m a bit ol’ fashioned like that. 😉 Your choice completely though and I guarantee you will love this curry whichever method you choose! 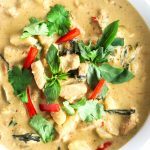 What I love about this curry is that it’s so versatile when it comes to the protein and you don’t have to use chicken. 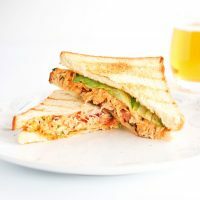 (Although, in my honest humble opinion it is just SO GOOD with chicken!) 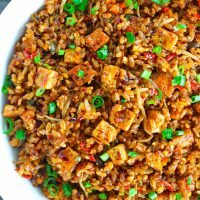 You can swap with plant-based or soy-based meat substitutes like mock duck, mock chicken, Quorn, paneer (cottage cheese) and essentially anything else you like. 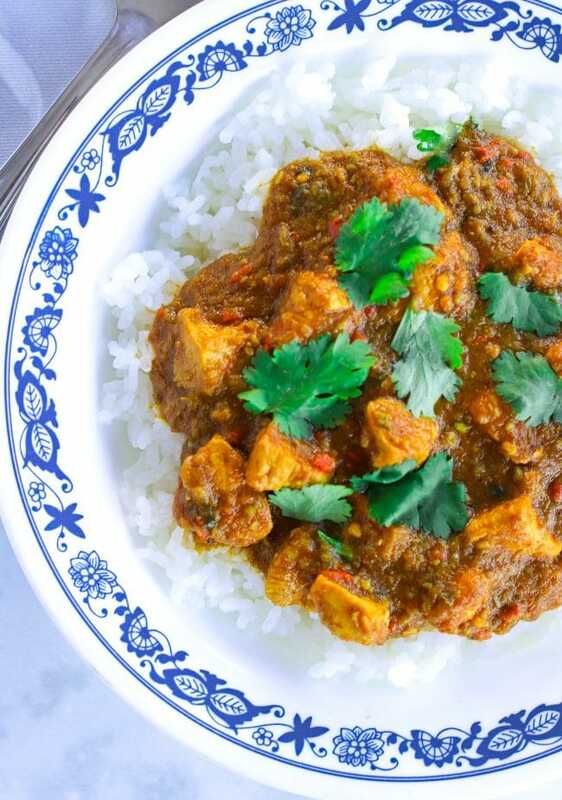 You could also use egg or lamb in this curry instead if chicken if you prefer. Both have come out really great and the egg version is my Dad’s favorite! One thing I haven’t tried this curry with is a plant-based fish. Not sure if it would fall apart or hold its shape with the simmering time needed. 🤷 Any thoughts or experiences? If you do try making this curry with it, report back and let me know how it worked out! JUST WANT A VEGETABLE CURRY? On a final note, be prepared for the intoxicating aromas that will penetrate through every corner of your house while the chicken curry is cooking. They are to DIE for and make my mouth water just thinking about it now! 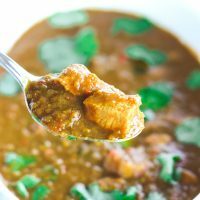 This Indian Onion Chicken Curry is super easy to make, full of amazing flavors, and always a crowd pleaser! 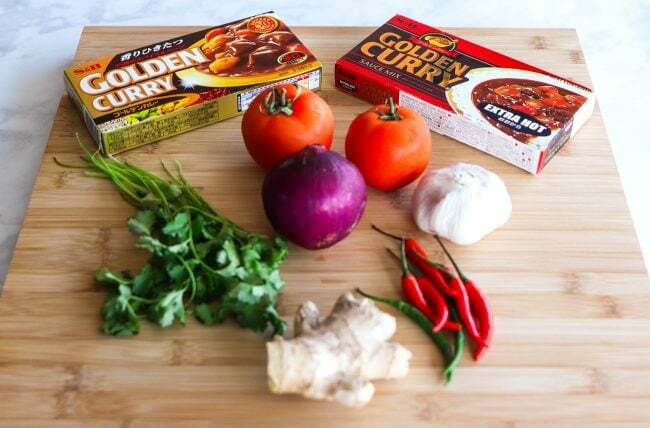 It’s made with simple ingredients like tomatoes, onion, garlic, ginger, chilies, and fresh coriander, and taken to a whole another level of deliciousness with S&B’s Golden Curry roux! Stovetop Pressure Cooker, Stovetop (wok/stockpot), and Instant Pot (Electric Pressure Cooker) instructions included. Combine all the spices in a small bowl and cover with cling wrap or a small plate until ready to use. Turn on the stove to high heat and let the pressure cooker heat up for 30-40 seconds, then add olive oil and chili oil (if using) and the onion. Sauté for about 1 – 2 minutes or until onions are translucent. Add the garlic and ginger and continue sautéing until fragrant. Add the red and green chilies and keep stirring for 1-2 minutes. Add the spices and stir to combine with the other ingredients while scraping the bottom to form a thick pasty mixture. Add the tomatoes and stir to combine – about a minute. Then add the curry roux and ¾-1 cup water. Continue stirring and press down on the curry roux to help them melt. Add the chicken pieces and stir to coat them with the sauce until no longer pink – 20 seconds. Cover the pressure cooker and lock the lid. Turn down to medium high heat. Allow for the chicken to cook for two whistles –10-12 minutes. Once cooking has completed, turn off the heat and allow for the pressure to release completely – about 15-17 minutes. Then, carefully open the lid. Turn the stove back on to medium high heat and stir at regular intervals. Let simmer for 4-6 minutes or until desired thickness for the gravy has been achieved. 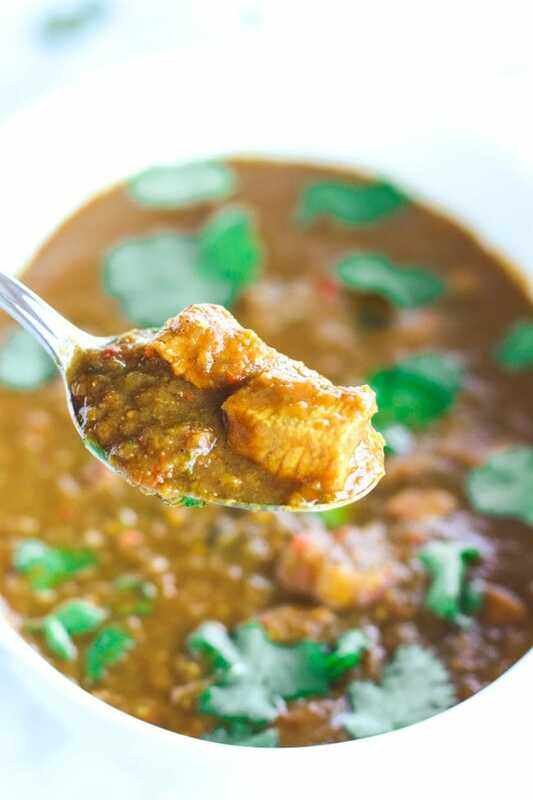 Add the chopped coriander and stir to combine for 20 – 30 seconds. Then turn off the heat and remove to dish. Garnish with more freshly chopped coriander if desired, and serve with steamed white rice, naan, or roti with a side of cooling raita or plain yogurt. Turn on the stove to high heat and let the wok or stockpot heat up for 30-40 seconds, then add olive oil and chili oil (if using) and the onion. Sauté for about 1 – 2 minutes or until onions are translucent. Add the chicken pieces and stir to coat them with the sauce until no longer pink – about 20 seconds. Cover the pot and turn down to medium heat. Allow for the chicken to cook for 8-10 minutes. Stir at regular intervals in between. Turn the stove back on to medium high heat and stir at regular intervals and let simmer for 5-8 minutes or until desired thickness for the gravy has been achieved. Select the ‘Sauté’ function on the Instant Pot. Once the pot displays ‘Hot’, add olive oil and chili oil (if using) and the onion. Sauté for about 1 minute. Add the tomatoes and stir for 30-40 seconds. Add the chicken pieces and stir to coat them with the sauce. Select the ‘Cancel’ function and close the lid. Make sure that the vent is in ‘Sealing’ position. Select ‘Manual’ and adjust the +/- buttons to set the cook time to 7 minutes. Once cooking has completed, allow the pressure to release naturally for 10 minutes then hit ‘Cancel’. Carefully turn the vent to ‘Venting’ to release any remaining pressure. Ensure that the valve has dropped and then open the lid. Select the ‘Sauté’ function and stir and let simmer for 4-6 minutes or until desired thickness for the gravy has been achieved. Stovetop Pressure Cooker: Allow the chicken to cook for 3 whistles – 10-15 minutes. Stovetop (wok/stockpot): Cook until chicken is cooked through – 10-15 minutes. You can pierce a piece of the chicken with a fork to make sure it is no longer pink inside and the juices run clear. Instant pot: Set the cook time 10 minutes. Feel free to make this veg/vegan by substituting with your choice of plant or soy-based meat alternative. Or you can make a simple spicy vegetable curry with all your favorite vegetables instead! *S&B Golden Curry Roux is available in a large 240g pack and a smaller 100g pack. The curry cubes size is larger in the larger size packs and I use ¾ of 1 large cube. 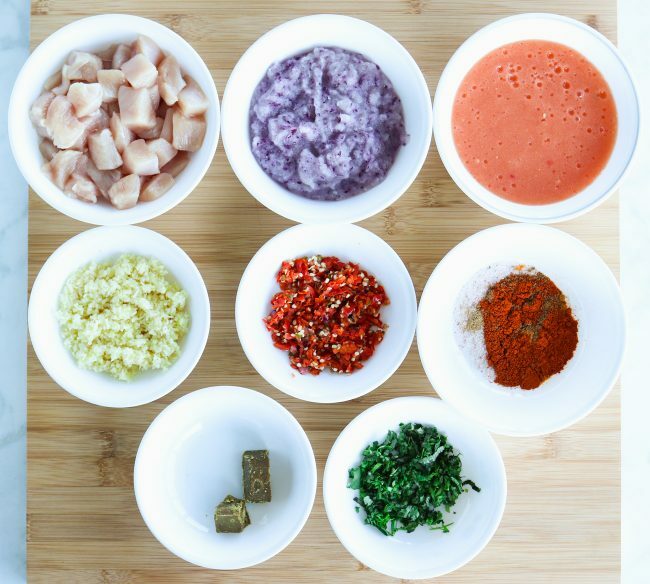 If you purchase the 100g pack, use 1 & ½ curry roux cubes for the equivalent with the smaller roux cubes. I like my curries to be on the smoother side so I use a food processor to blend the chopped ingredients and puree the tomatoes. If you don’t mind a little bit of a texture in your curry, just finely chop all the ingredients and then cook as per instructions. 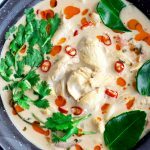 If you prefer, you can use an immersion hand blender or blend the curry in a conventional countertop blender during the cooking process and before you add the chicken to the pot (after step 6) for either method. Turn off the heat and use either blender to puree the gravy mixture. (Be careful as the liquid will still be hot and will expand while blending.) Return the curry to the pot once desired consistency is achieved and proceed with steps 7 – 12 as normal. For less spicy, just omit/reduce the amount of fresh chilies and cayenne powder to taste. You can also deseed the chilies if you wish. For the Instant Pot method: You can manually quick release the pressure immediately after cooking has completed to save time if you like. Just be careful when turning to the ‘Venting’ position and keep your face and hands away from the steam. I recommend allowing for at least a 10-minute natural release before quick releasing. 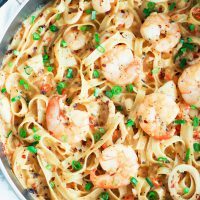 The time indicated is for the stovetop pressure cooker method and Instant Pot method. 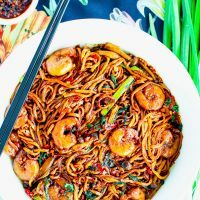 The stovetop wok/stockpot method will take slightly longer, and it will take a little longer if choosing to blend the curry with an immersion/countertop blender after you’ve starting to cook.